Computer Repair by mghighech is dedicated to providing fast and reliable computer support and personalized attention to our customers. We take pride in providing optimal solutions that over-achieve our customers technical needs. What separates us from our competitors is fast turnaround. Along with highly technical backgrounds, we have genuine love for technology and eagerness to find your solution. Experiencing computer problems may be frustrating, but we take joy in easing your concerns and issues. We look forward to taking care of you and all of your technical issues, questions, and projects. mghightech specializes in providing on-site computer repair and service Nationwide. With today's hectic lifestyles and time constraints, our on-site service can relieve the stress of traveling and hassle. Our technicians come to you. We target both residential and commercial locations Nationwide. We have all the necessary tools to solve the most critical computer repair problems. 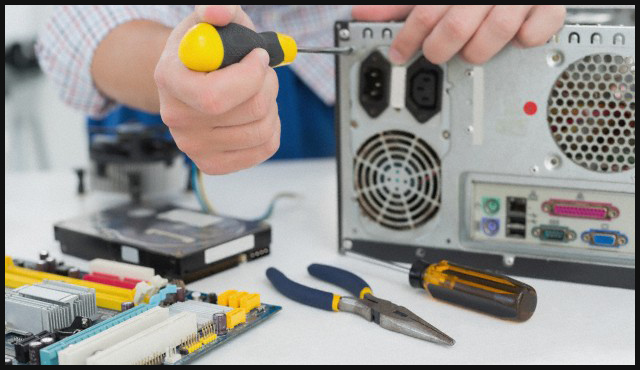 Our technicians will thoroughly examine each & every component of your PC to insure a successful repair. We service all computer brands including MAC. We are available Monday-Saturday 9am-5pm. All of our technicians have between 4-5 years of experience in the industry. We repair and upgrade all brand name used laptops, like Dell Latitude, Dell Inspiron, Toshiba Tecra, Toshiba Satellite, Sony Vaio, HP, Compaq Presario, Compaq Armada, IBM Thinkpad, Gateway Solo, Fujitsu Lifebook, Acer, GQ, Apple iBook, Asus, and Apple.